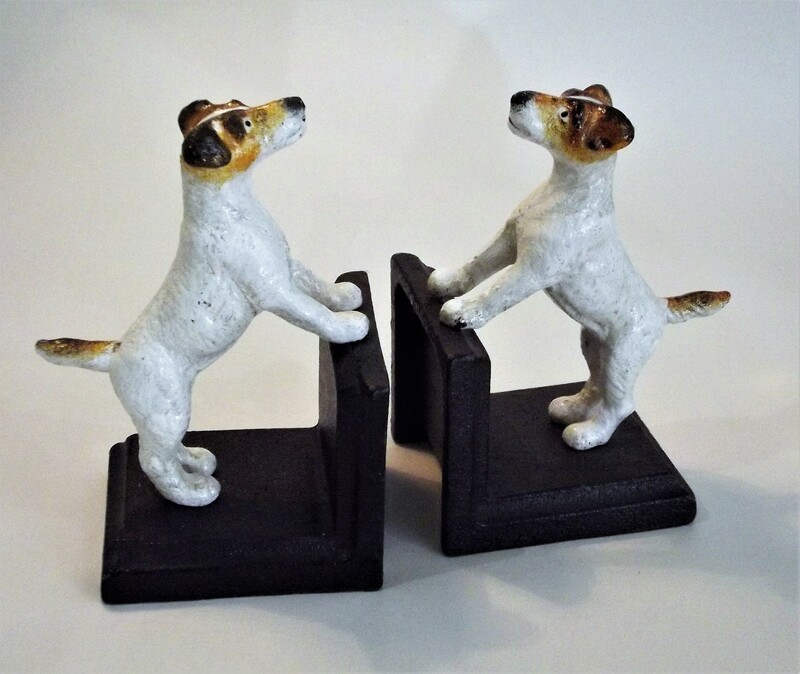 A most delightful pair of cast iron and hand painted bookends in the form of little terriers – we are not sure if they are Jack Russells or Fox Terriers or indeed another canine variety but they sure look the part. A perfect gift for a book and dog lover! Each Terrier stands six inches in height (15 cm.) – as all are hand painted there will be a charming but subtle variation from one to the next.